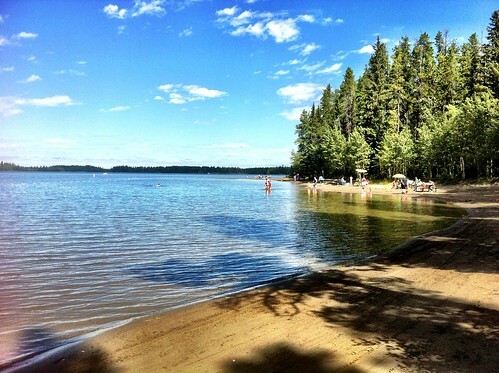 We had been looking forward to our Labour Day long weekend trip to Crimson Lake in central Alberta all summer. This was largely because you have to book spots there so damn far in advance (the entire campground had filled up for every single weekend for the entire summer by the end of June, I mean come on), but mostly because it’s such a beautiful place and an extremely family friendly campground. This is what we were looking forward to.